As far as home workouts go, not many can beat a good stationary rowing session. In-home rowing machines offer one of the most comprehensive ways to work your muscles, burn fat, and keep your heart strong, making it one of the best health investments you can make for your life. Getting an in-home rowing machine has many benefits. One of these is working out in the comfort of your own home, especially if you prefer having your own exercise space where you can’t be bothered; others include pushing the muscles of both your upper and lower body, making it an awesome workout for shoulders and thighs. Most importantly, the full-body exertion means you are getting the complete profits of aerobic exercise, which is key to staying healthy and fit as the years go by. Yes, stationary rowing is an incredibly effective way to burn fat and build muscle, but let’s take a minute to consider its cardiovascular benefits. Seeing as it is a full work out that requires both strength and endurance from almost every muscle in your body, your heart and lungs get to really work to keep up with the effort you’re going through. This helps to build up their strength and resistance, making you less tired and prone to heart disease. Just 30 minutes a day of rowing can help you dramatically improve your heart health, strengthen your lungs, and lower your cholesterol levels to keep your arteries free and your spirits up. Since rowing requires the work of so many muscles, it’s no wonder that it is a great way to burn calories and shed pounds. A regular stationary rowing regime will have you feeling the difference as soon as three weeks in, and keeping these workouts short and simple will help you stick to a routine without burning out. A big requirement to keep your rowing on track is nutrition. Healthy meals are super important to maintain a high-performance level in a rowing machine, to stay full of energy, and to help you recover faster from each sprint. A good diet is the pillar of every weight loss program, so add this to your rowing for maximum results. A well-known benefit of working out is how it improves your mood, but rowing really takes it to another level. This is because the more you exert your body, the more endorphins you’ll release, making you feel calm and satisfied even after a short session. Be careful, though. Working too hard on the machine will burn you out easily, and pushing too far can lead to injury and fatigue, which are definitely mood killers. Hard work on the rowing machine will leave you feeling accomplished and strong, improving your mood and energizing not just your body, but your mind. Investing in an in-home rowing machine can save you up a lot of money, time and energy. If you lead a busy lifestyle, you can just schedule 30 minutes of your day to work out in your own home, without having to pay for a gym membership or having to share your stress-relief methods with other people. A rowing machine doesn’t take much space, it’s easy to assemble and will last you a very long time, giving you the chance to create the habit of working out and taking care of your health. Rowing builds up your body, your budget, and your healthy habits, so it’s a win-win on all fronts. Okay, now that we’ve covered all the physical and mental benefits of stationary rowing, we can say that it’s just plain fun. If you’ve never used the machine before, you can see it as an exciting new thing to try out, and if you’re a pro, then you already love the rush you get after a good sweat. Rowing can be your whole workout, or you can add it as a warm-up or as the perfect finish to a brutal session. You can break up your rowing into rounds or sprints, dividing it into fast and hard rows and then a short rest period to get a good HIIT. You can also make it low impact to go gentle on your joints or if you are recovering from an injury. 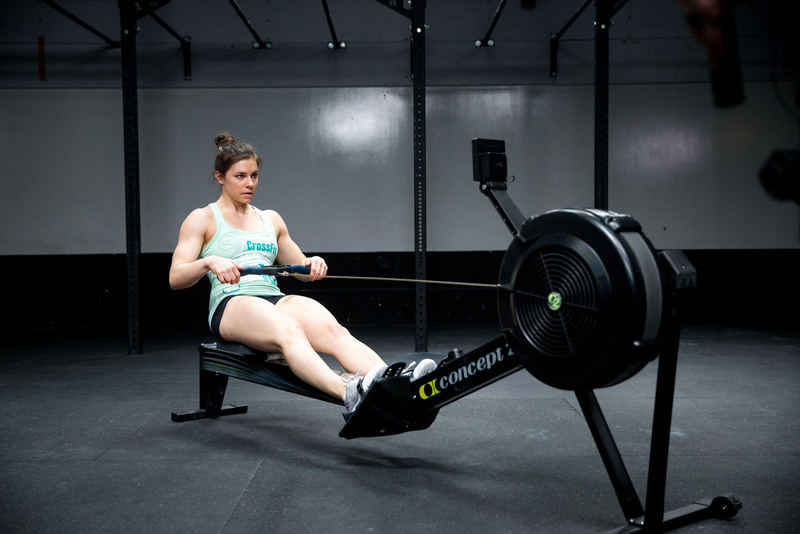 You really can’t go wrong with stationary rowing, so go ahead and feel like an athlete the next time you get on the machine.